Steel City, or Pittsburgh to you and me, has just become much more accessible, thanks to new flights from British Airways, so we've taken it upon ourselves to dig up this Pennsylvanian city's best bits. London to Pittsburgh: British Airways launched the UK's first direct route to the city from London Heathrow in April 2019. Flights operate four times per week throughout the year, and you can book your seat with the latest offers from BA right here. Sadly, we're not talking about the fluffy kind, but on the plus side, these ones are just as cool - they're the Pittsburgh Penguins, aka one of America's best ice hockey teams; they won the Stanley Cup in both 2016 and 2017. Home games take place at the PPG Paints Arena, and ticket prices start from around £45. Expect lots of freebies, delicious food (we recommend the enormous hot dog at Smith's) and lots of pre-game fun, like the chance to appear on the famous kiss-cam. 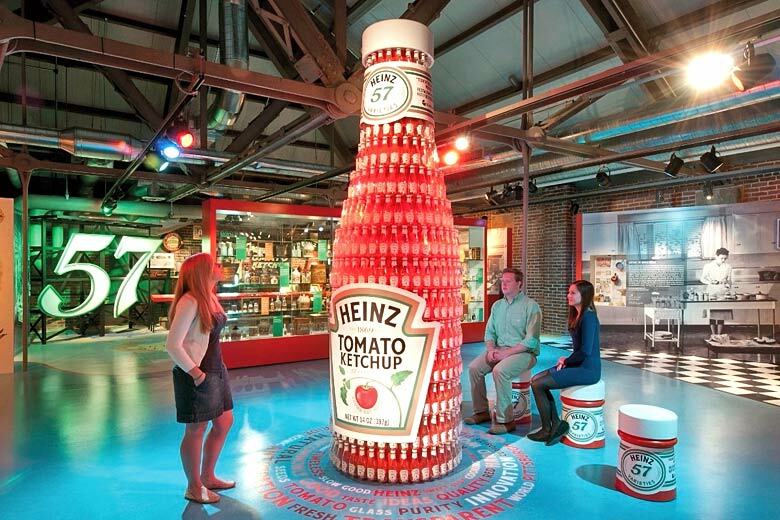 Full disclosure: the Heinz History Centre isn't just about beans, although that's the focus of its newest exhibition, which looks at 145 years of Heinz innovations. Henry John Heinz III, a former senator and heir to the JH Heinz Company, was a passionate Pittsburghese and the museum's galleries focus on everything from Pittsburgh inventions (both the Big Mac and the Ferris wheel were born here) to slavery in Pennsylvania and the British, French and Indian War between 1754 and 1763. The Boilermaker is to Pittsburgh what Guinness is to Dublin. Named after the blue-collar workers, including boiler repairmen, who once downed them in huge quantities, the Boilermaker is a shot of whisky chased with a pint of beer, although locals will often simply drop their shot into the lager. Today, some of the city's best bars have given the concept of mixing spirits with beer an added twist. Take the Ace Hotel (one of Pittsburgh's top stays), where the drinks menu pairs beer with tequila, and The Goldmark, in the hip Lawrenceville neighbourhood, where there's a huge menu of Boilermakers designed for different budgets. 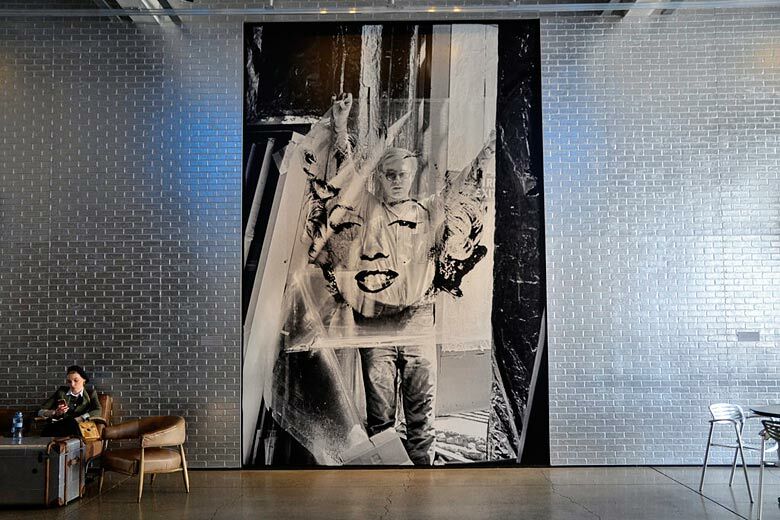 The Andy Warhol Museum is on Pittsburgh's north shore, not far from where Warhol once attended art classes. This former warehouse contains 17 galleries and 8,000 of his paintings, drawings, photographs and sculptures. You'll also find art by Warhol's mother, Julia Warhola - when her son was young, she'd sell bouquets of paper flowers in tin cans, and Andy Warhol incorporated her writing into many of his pieces. Further proof that his work went beyond his famous Campbell Soup images comes in the area dedicated to collaborations with artists such as Jean-Michel Basquiat and Keith Haring. Recently referred to as the 'Tinseltown of the East', Pittsburgh has been the backdrop for a slew of blockbusters, including The Dark Knight Rises, Jack Reacher and The Perks of Being a Wallflower. The Fort Pitt Tunnel, the main route into the city, takes centre stage in the last film, and the Soldiers and Sailors Memorial Hall and Museum, in the neighbourhood of Oakland, was the setting for the infamous cage scene in The Silence of the Lambs. Scenes from The Dark Knight Rises were filmed at Heinz Field, home of the Pittsburgh Steelers, and the historic Grand Concourse Restaurant appeared in both Flashdance and Love & Other Drugs. The city's rolling hills and sparkling rivers provide a stunning backdrop to the works of world-renowned architects such as Frank Lloyd Wright, Henry Hobson Richardson and Philip Johnson. Lloyd Wright's most famous work is the famous Fallingwater house, a short drive from Pittsburgh. More than five million visitors, including Albert Einstein, have visited the property. Head there in summer to see thousands of pink rhododendrons burst into bloom. Pittsburgh is famous for its modern architecture too, including 30 green-certified buildings. Its skyline is best admired from one of the 400 bridges or the enormous Schenley Park. Did you know? It takes just over five hours to reach New York City from Pittsburgh via Amtrak, so why not tack on a long weekend in the Big Apple? Here's our weekend guide to the city that never sleeps. 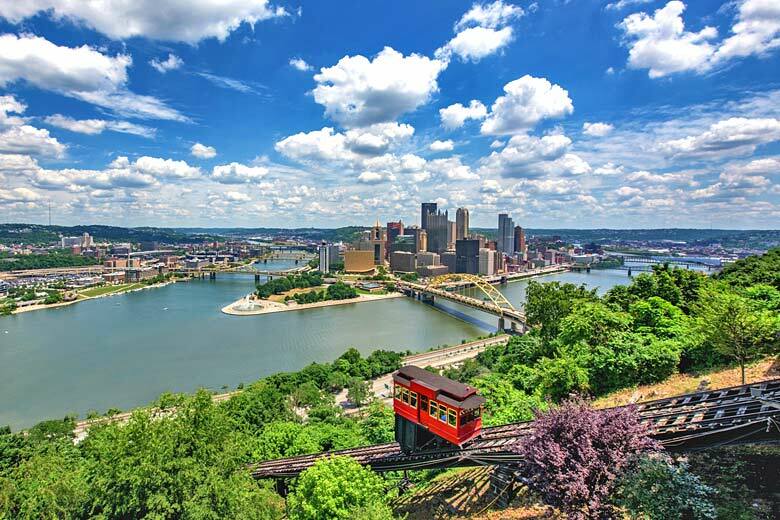 Known as the Duquesne and Monongahela inclines, the funiculars were built in the 1800s to transport workers from the city's factories to their homes atop Pittsburgh's Mount Washington. It's not just the tracks which are old either; the Duquesne uses two wooden cable cars dating back to 1877. At the top, there's a museum exploring the history of the funiculars, and the views of the city are spectacular. You'll find every type of cuisine in this Pennsylvanian city, along with dishes which can't be found anywhere else. 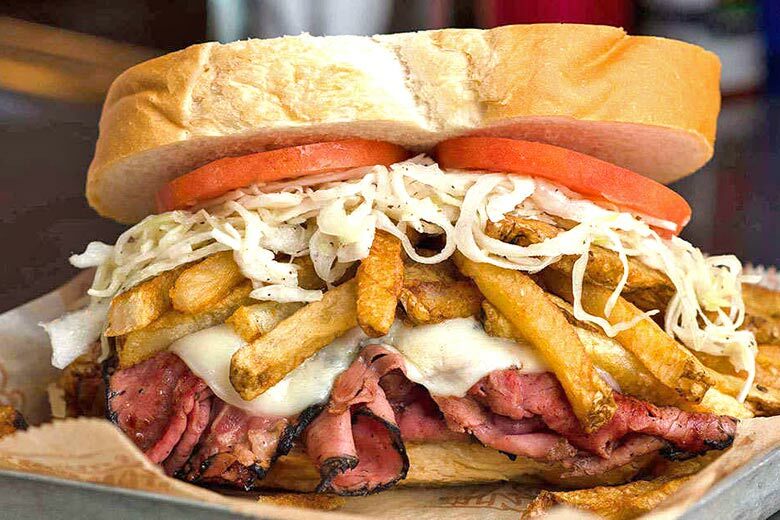 This includes the Primanti Sandwich, courtesy of Primanti Bros, a Pittsburgh institution: grilled meat, melted cheese and an oil-and-vinegar coleslaw are sandwiched between slabs of Italian bread. If your arteries are still functioning, consider the so-called Pittsburgh Salad, topped not with croutons but French fries. The best foodie neighbourhoods include Squirrel Hill for Asian cuisine and Upper Lawrenceville, known for its breweries and bakeries, including the fantastic Butterwood Bake Consortium, which stays open until 11pm. The weather in Pittsburgh is quintessentially seasonal with warm, sunny summer months and cold, dark winter ones. Don't miss our climate guide linked above and see when we think is the very best time to go. 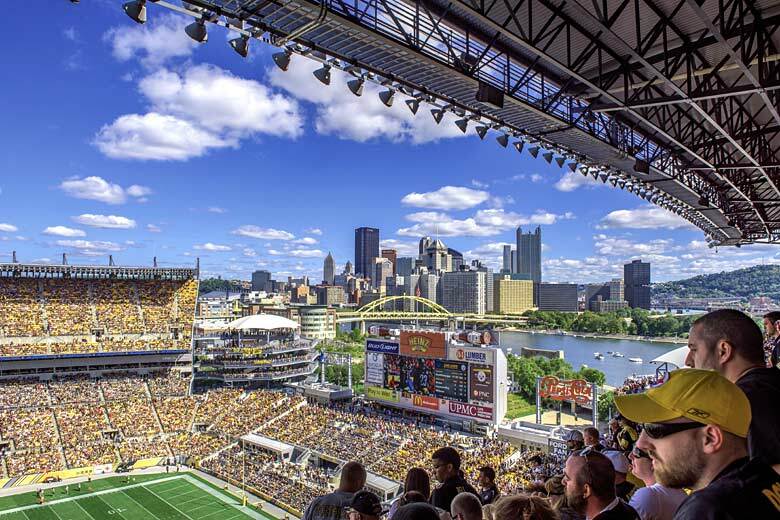 Getting to Pittsburgh: browse our latest BA sale deals to book your direct flights to Pittsburgh with British Airways today, and you'll be necking a boilermaker in around eight hours from London Heathrow.